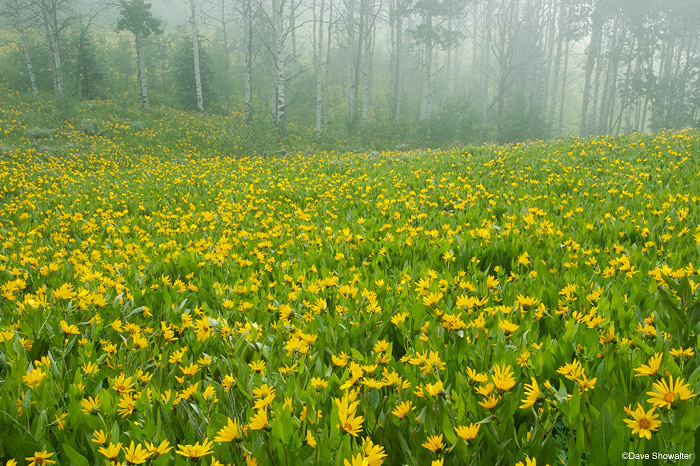 Balsamroot wildflowers and aspen on the South Rim in the Wyoming Range. This area is adjacent to the Upper Hoback and Noble Basin, where PXP proposes to drill 136 wells and create an industrial natural gas field. . Photo © copyright by Dave Showalter.